vitamini handmade: A weekend off. I haven't allowed myself a weekend off since my trip to London in April...wow, too long! Working full time and running a small business simultaneously means I usually spend weekends working instead of relaxing. It's a bummer sometimes, but it's a sacrifice I'm happy to make for something I love to do! 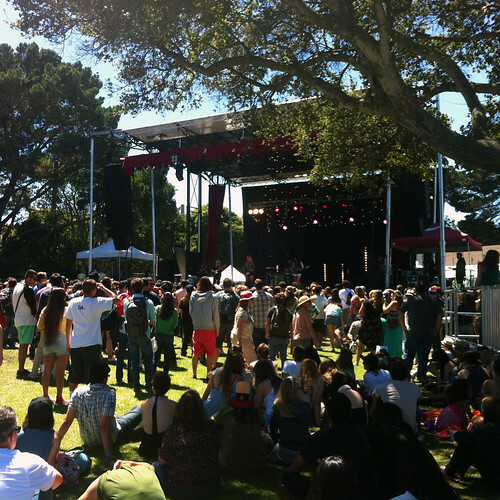 Last weekend when I had the opportunity to spend the Saturday and Sunday at a music festival in Monterey I went for it! Here are some of my photos from the First City Fest. 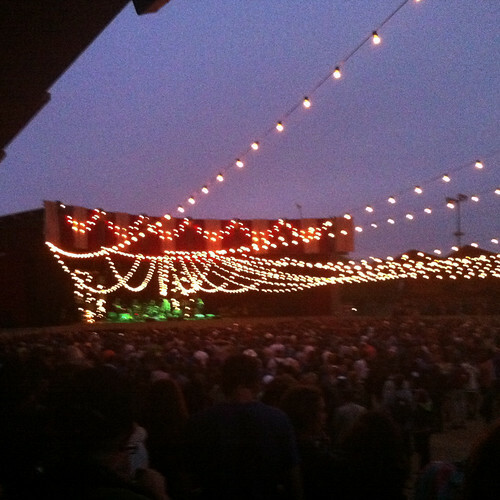 Set at the Monterey Fairgrounds (back on my hometown turf), the festival was spread out over three stages for 36 (!!) 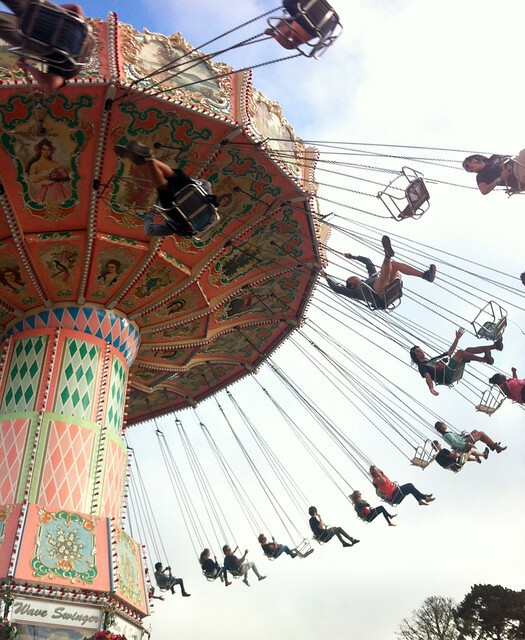 bands and included carnival rides and lots of good fair food. 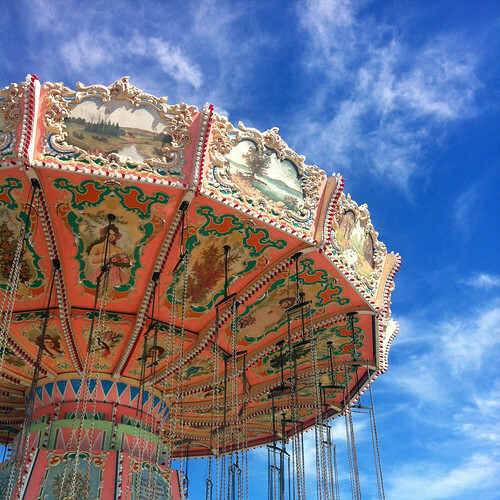 How beautiful is this swing ride?! I couldn't stop snapping pics of it, stationary and in action. 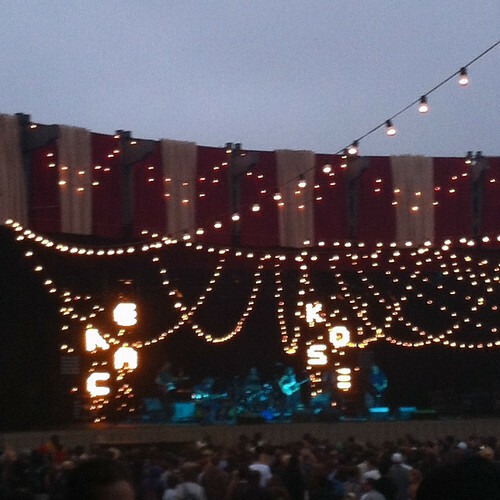 I took a pic of the same one last year at the Mumford & Sons show. We were blessed with abnormally warm weather (for Monterey), even if that meant I got a sunburn. Cause I did. MGMT and their crazy fractal cartoons. 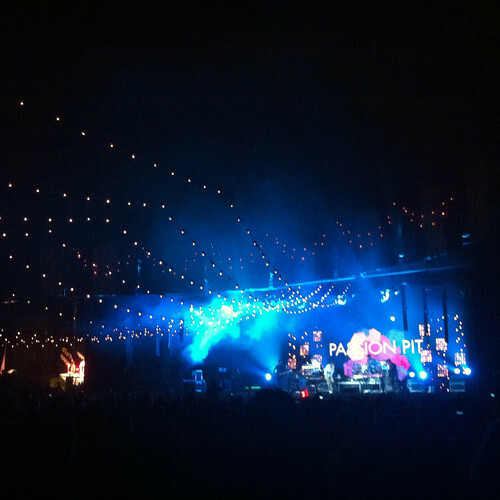 Passion Pit - one of my favorite performances of the weekend. 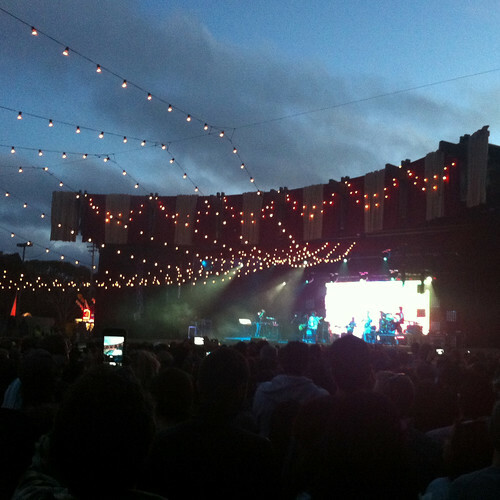 Planes flying in to the Monterey Airport would fly right over the main stage. It was pretty cool! While Sunday night concert-going made for a tired Monday morning, I had a really great weekend. It's nice to take a break every now and then. All photos by Casey | Vitamini Handmade. Even the first one!